"My 3½ litre 1938 SS100, chassis number 39090, registration mark SY 6684, is one of several old cars I own and a definite favourite," says Roger Learmonth from a small Sussex village not far from Gatwick in the UK. "It was nice to buy a car that came with a huge history file. Almost all her previous owners were listed. It may be that the car was the '38 Scottish Motor Show car but we can't be sure. We do know that it was bought by one Mr A Miller of Rossleigh, Edinburgh and registered in his native Scotland on 23rd November 1938. Mr Miller clearly loved the car so much that he kept it a whole three months before passing it on. 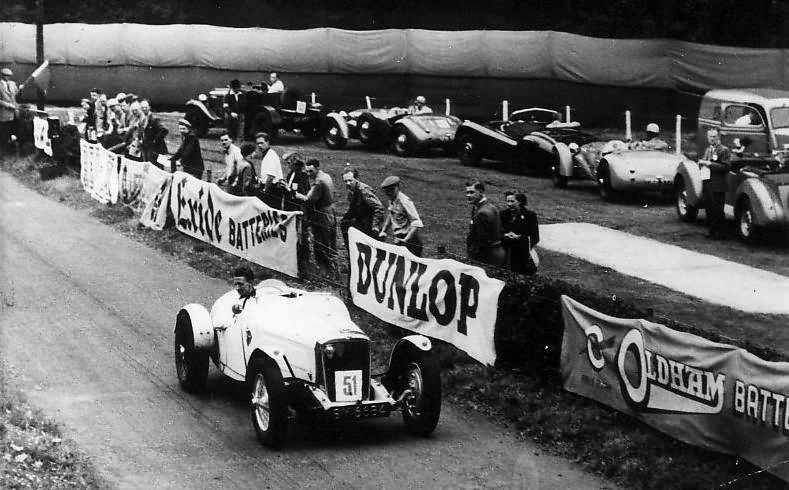 In 1945, Noel Bean bought the car from its 2nd owner and so began its 37 year motor sport career. 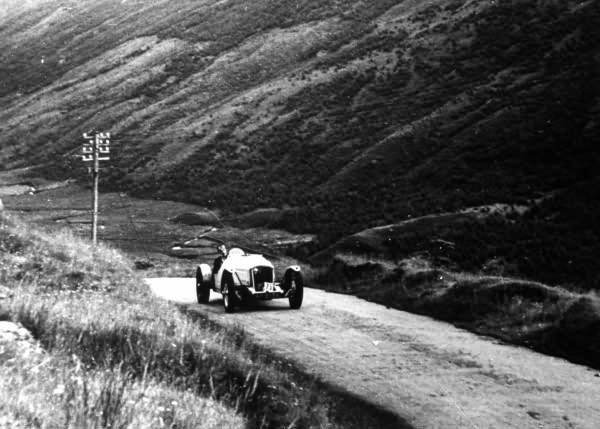 Noel was Scottish hill climb champion and won several events with it. He kept SY 6684 until 1949. Although now nearly 100 and in very poor health, he still fondly remembers his time with the SS. One of his many amusing stories involves a high-speed chase where, caught for speeding in a city centre, he managed to outrun his police pursuers at over 100mph - in the wet. 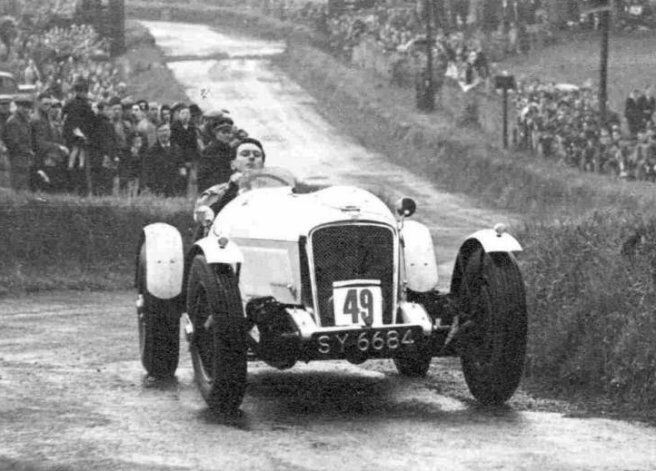 At some time, the car won a Brighton speed trials class and I believe the record still stands because of changes to the rules that abolished the classification and ensured that the time could never be bettered. "The next recorded owner was Ecurie Ecosse's Ian Stewart. He converted her to Old No One spec with boat-tail rear, cycle wings and a 10:1 compression ratio. 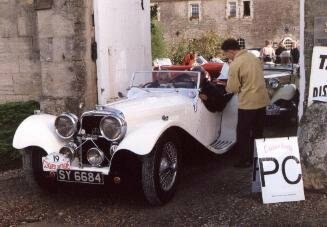 Ian campaigned the car in all sorts of events and even raced successfully against XK120s. 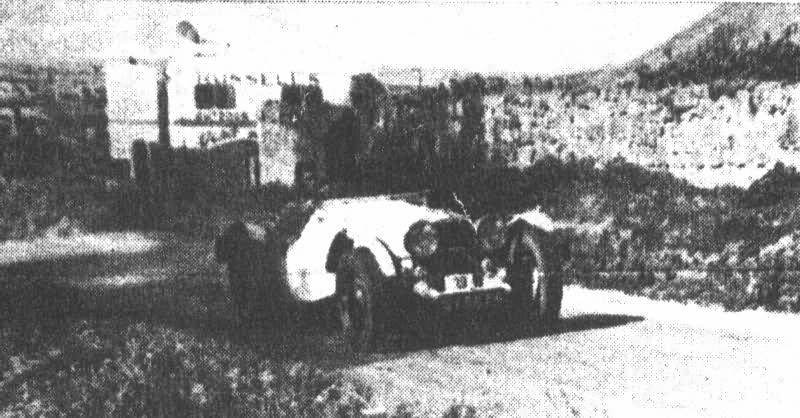 In July 1955 the car passed to Glen Millar who also used her extensively in motor sport. She fell into disrepair, was badly stored and subsequently damaged by a falling chimney. The next owner acquired her in 1971, patched her up and continued her motor sports career in hill climbs and sprints. "In 1974 she finally got some respite when a new owner started the restoration back to manufacturer's spec. 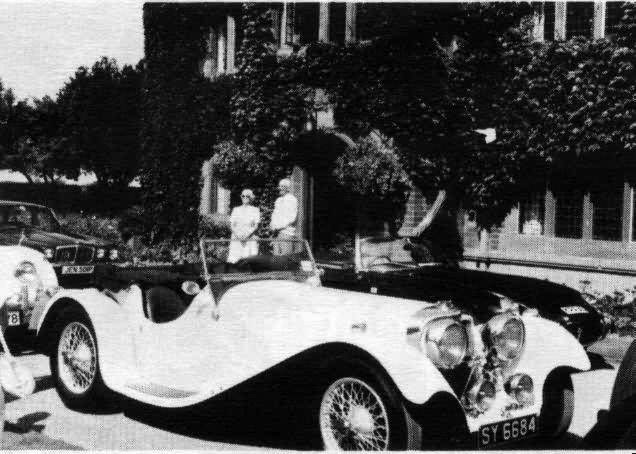 The car was then purchased mid project by Barry Forster who, at the time, was chairman of the UK Jaguar Drivers Club. Barry completed the work and heavily promoted the car in advertising and high profile UK events. For a number of years the car was housed with the heritage collection at the Syon Park museum. 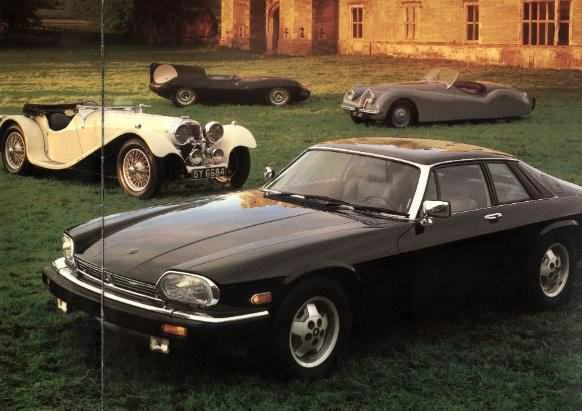 SY 6684 has made bit-part appearances in several specialist books including Andrew White's 'Jaguar' SS 90 & SS 100 Super Profile, (pages 55 & 56) and Philip Porter's Jaguar - History of a Classic Marque, (page 37). On the left, she appears at Wappenbury Hall with Sir William and Lady Lyons looking on. 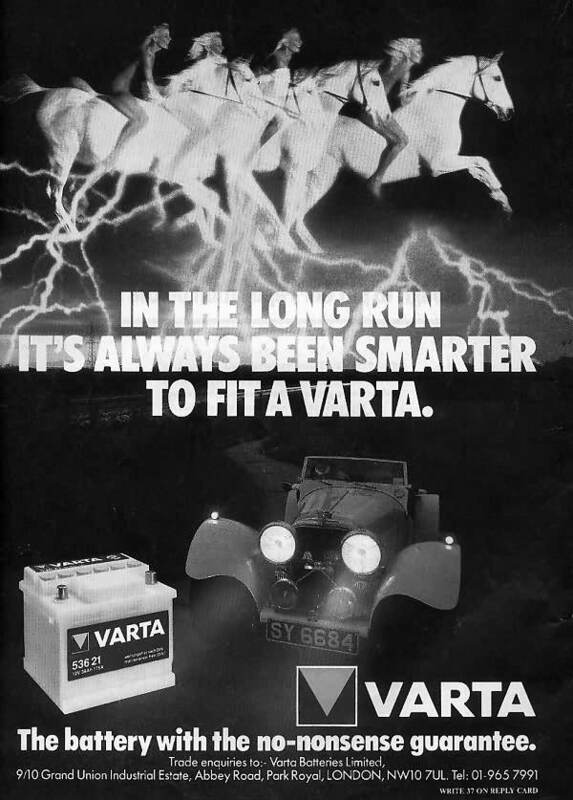 On the right, she appears in a VARTA battery ad! 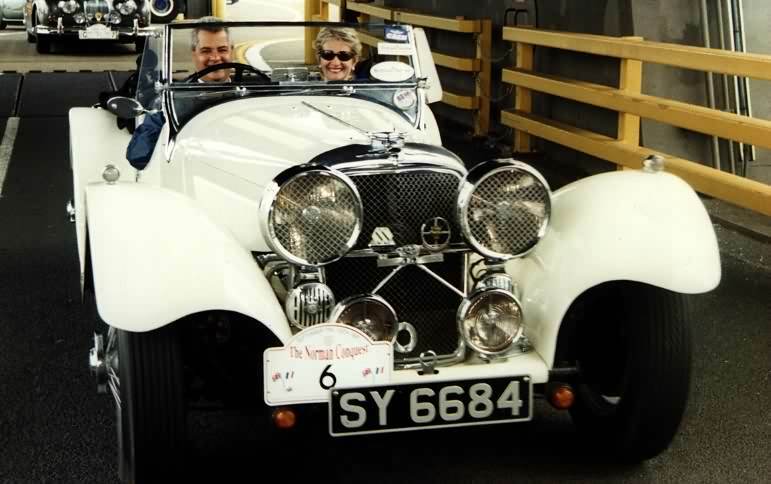 "I obtained the car in 1995 and have continued mild restoration. The car is now in excellent, road going order. I have very deliberately kept her original including the pre-war spots. Only a set of discrete amber indicators spoils the factory specification although the head was recently fitted with hardened valve seats for unleaded petrol. Fortunately, she has managed to hang onto her original engine block, gearbox and back axle as well as her Scottish registration number. Since acquiring her, we have competed together on a number of long distance, European rallies and she has always given a good account of herself. Her eventing history is set to continue through the next few years."